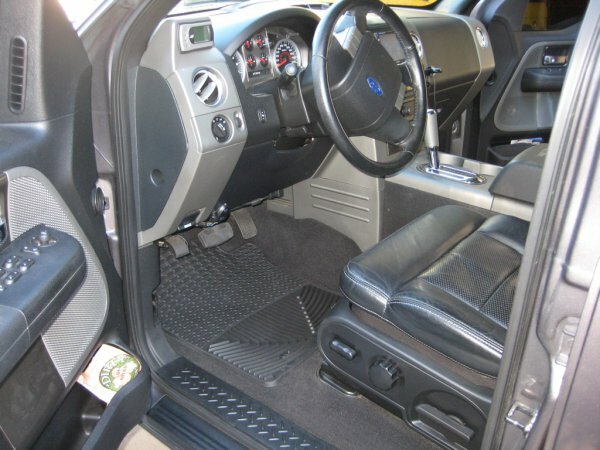 OK so I have had my F150 for 3 years now and already had to stop at the dealership and get a new set of floor mats. Well the drivers side one wore a hole through it about a year ago so I switched to using the passenger side one which didn't have the little hole to hook into the truck carpet so it was always sliding around. Also with black carpet every little piece of dirt was always visible and getting pushed off the carpet mats. Anyway I was done messing around so I did some searching and found these great WeatherTech All-Weather Floor Mats over at Truck Champ for a great price and I got them in just a few days!